But Lishak is no TV executive – he is a Master Tailor who first walked down Savile Row in 1956 and has never looked back. And don’t get the impression he is boasting about his high-profile clients – he’s a modest man but very proud to have worked in tailoring for so long. “I absolutely love my job,” he tells me when we meet at 13 Savile Row, the offices of Richard Anderson, the company set up by Lishak and Anderson back in 2001. So, what was it like all those years ago? “In today’s language, walking up Savile Row for the first time was awesome,” recalls Lishak who was 15 at the time. 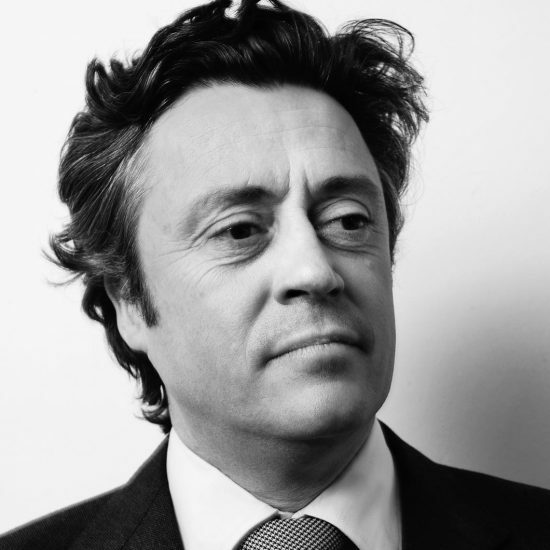 “I went for an interview at Hunstman, at No 11 Savile Row, just two doors away from where we are sitting now. In those days all of the tailors’ windows were opaque, at least up to head level, so you couldn’t see the customers who were inside. There were no window displays. It was a little bit frightening, frankly. I came up the stairs and was shown into one of the fitting rooms. The showroom was incredibly imposing – huge trestle tables with lots of fabrics on and with a couple of stags’ heads mounted on the wall. “At that time, it was not my intention to come into the trade full time. I’d been studying textile technology at a college in Charing Cross Road. I’d taken my examinations and applied for a place at Leeds University. I knew my father would be furious if I did nothing for three months after my exams so I thought I’d better get myself a job. “I was taken on at Huntsman and began there in early February and I fell in love with the whole business straightaway. 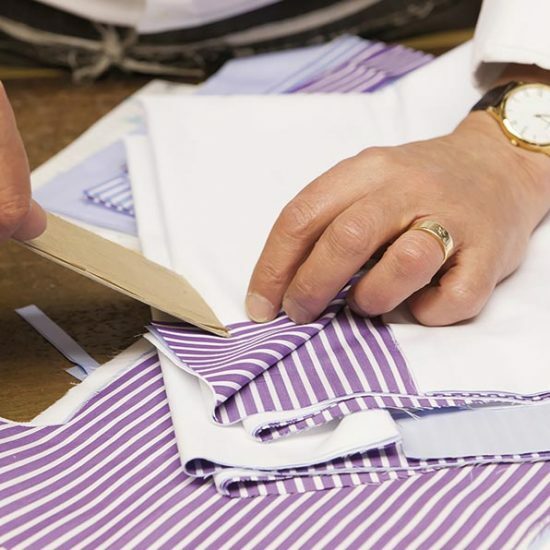 My first job was as an assistant to the shirt cutter who was also the hosiery salesman – haberdashery, shirts and ties and things. In those days you didn’t buy ties. What you did was you chose your silk then you asked the customer whether he wanted a ‘two out’ or a ‘three out’. A few months later, Lishak was asked to travel to America with his boss –“an absolutely fantastic man” – so he sailed over on the Queen Mary in December 1956. “Shirt makers, shoe makers and tailors were all on board,” he says. “My first trip lasted six weeks and I went to New York, Philadelphia, Boston and Pittsburgh. We went out again the following year and I was given two cities to do on my own, one of them was Montreal, a very big city for us. 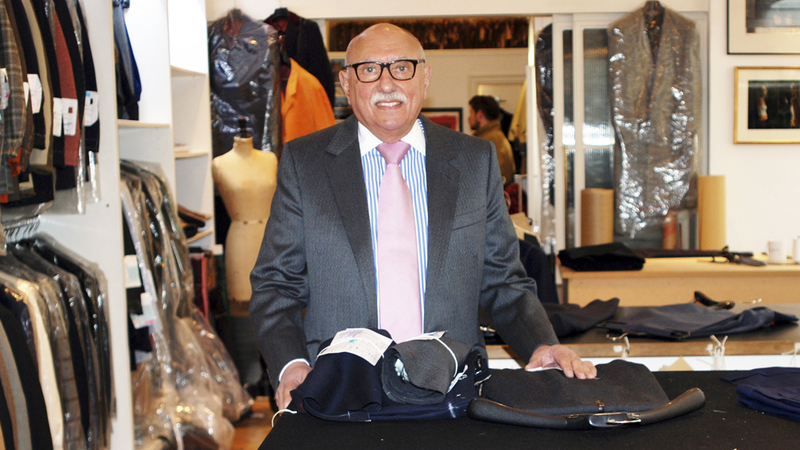 Apart from two years’ National Service in the RAF and a tricky conversation with his father who thought he should take up his place at Leeds University – “he disapproved immensely” – Lishak has been at the beating heart of Savile Row for more than 60 years now. “Richard had a board put into his garage so he could cut and I rented a desk from a friend. It was quite tough to start with. I don’t think we ever thought it was a bad decision but we obviously had lots of headaches at the beginning. There were just the two of us and we worked incredibly hard. We both came from a company which believed in producing the very best in quality so no effort was spared – top quality garments and top quality service. We were brought up that way and what we said was that we are going to be the best – that we would have the best business on the Row. You were completely on your own and you were going to live or die by the decisions you made. 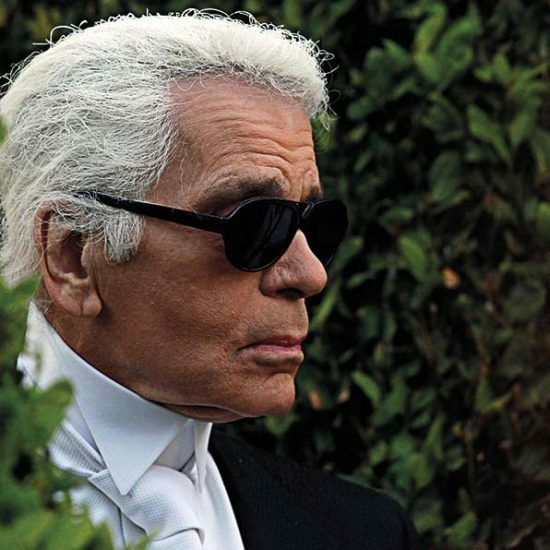 It goes without saying that fashions have changed – and will keep changing – hugely over years. “Clothing has become far less formal,” highlights Lishak. “We do far more jackets and trousers or jackets and jeans. We still make lots of suits but the suits too have changed. Style is constantly changing. 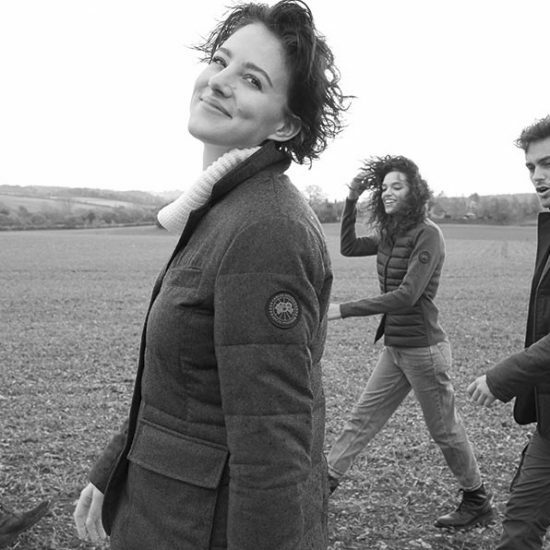 We make clothes that last for years and years. About 90 hours of hand work goes into one of our suits. You pay a lot of money but not only will it last a long time, it will look the same as when it was first made. “We want the clothes we make to be timeless. Customers have come in with a suit that we may have made for their father or grandfather to be altered for them. When I first came into the trade we tended to sell heavy fabrics. We had customers who lived in unheated Scottish castles and they needed to keep warm. The trend has been to make suits lighter. “You’ve got to make your customer look his best. That’s expertise in cutting. You are producing a work of art. Most of us want to look taller and slimmer. We use long lines with just the one button, all geared to make you look tall and slim. We keep a very close shoulder; the arm hole is cut high so you get as long a line through the body as possible. 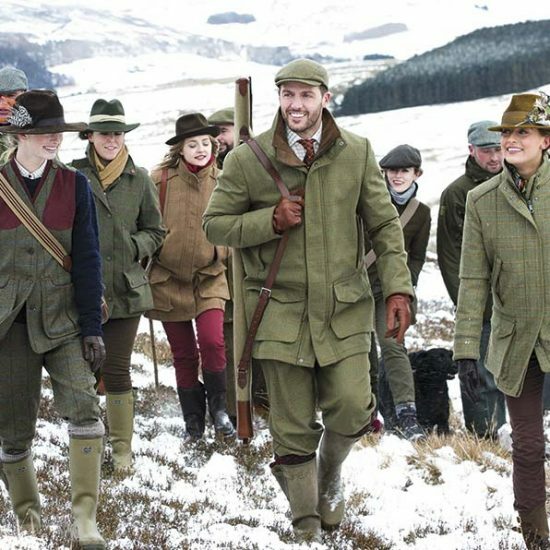 Jackets are a little bit longer than average and the trousers are cut fairly slim and straightish so we get a long leg. We are all different so you adjust the appearance to make the client look his best. When it comes to talking about the famous names he has met during his career Lishak, as with most high-end tailors, is unsurprisingly discreet. “We had royalty coming in, we had peers of the realm, we had actors, all these massively interesting people from all over the world. Peter Ustinov was fantastic. He’d just come in and tell stories. And Ian Fleming, the James Bond author, was a customer of ours too. One of our customers was a magician so we had to make extra pockets which he used during his act. As our interview comes to a close, I finish with a rather obvious question. “So, Brian, how long will you keep going?” I ask. “Well my original boss at Huntsman took over the company in 1930 and ran it until he was 90. That wouldn’t be a bad thing to copy,” Lishak says with a smile. And I, for one, certainly won’t be betting against it.